I've reached a new plateau. 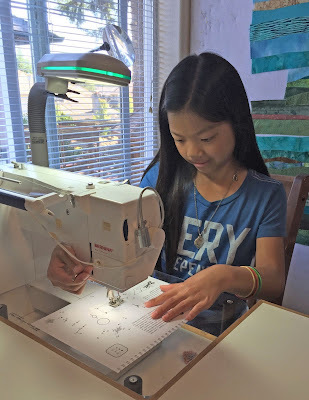 My second granddaughter turned 10 and she wants to learn how to sew! I asked her if she wanted to make a quilt, and the answer was no, but I'm OK with that (for now). We're using the same book that I used with my oldest granddaughter. It's "The Best of Sewing Machine for Kids". 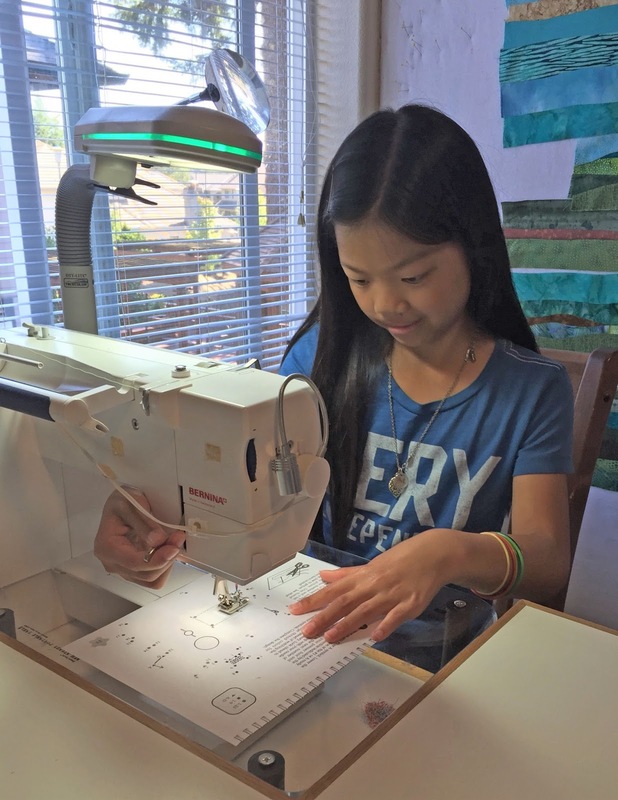 Our first few lessons were learning the sewing machine terminology and sewing on paper. Then we moved to sewing crafty things. 3 lessons down. I wonder how many more we'll have together now that school is back in session? ahhh. . .what wonderful memories you both will have!